The Aussies 2016 finish at the end of Sunday April 24, with Surf Boat and Open events still to be run through to Grand Finals today. Newport SLSC are at 5th place on the rankings, Manly LSC at 7th as go to press, and Palm Beach SLSC are sitting at 22nd position with 313 clubs participating and over 7000 competitors. The iconic Australian Surf Life Saving Championships event has returned to the Sunshine Coast from 16–24 April at Alexandra Headland, Maroochydore and Mooloolaba for the first time since the 1980's. Across 9 days, over 7000 Surf Life Savers from 313 surf clubs will have competed in over 400 events from Youth, Open and Masters categories. Youth Championships: All events for the 2016 Youth Championships will be held at Maroochydore Beach. Opens and Masters Championships: Masters and Opens Championships ocean events will be held at Maroochydore Beach. Boats will be held at Alexandra Headland and beach events will be held at Mooloolaba. Sunday 17th April: The Aussie Ocean Swim. Event info. Fi Rae - Gold again! Nick Wiadrowski is looking after two crews at the Aussies - the under 23 Palm Beach Punchers and the open women (Pterodactyl).as Sweep Stephen Cox is out of the boat following surgery. Nick took over the Pterodactyl crew as his mentor Peter Spence had enough on his plate (SLS SNB). Alan is actually a member of Newport but did a competition switch to Avalon. ‘’There are just more guys to train with,’’ Alan told SLS SNB during the week. ‘’It is just an indication of the level of standard in the competition up here,’’ said Palm Beach veteran Gordon Lang. Gordon (the former Branch president) made it through to the board final in his age group. “In the ski, I was coming second or third but got wiped out by a wave on he way out,’’ Gordon said. Picture (SLS SNB): Sydney Northern Beaches mates Grant Salmon (left), Gordon Lang and Kevin Flood. 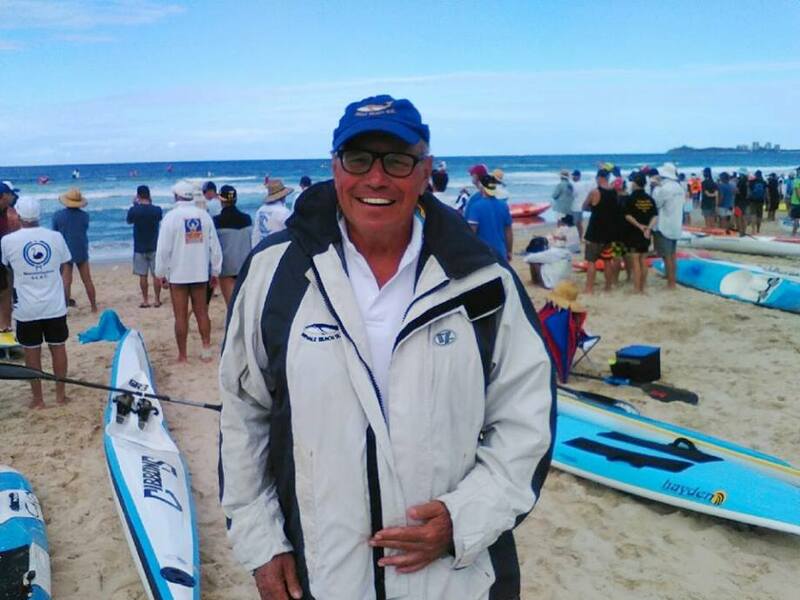 Bilgola Bennys, Gold (U23 and Open Womens and Open Men, and Reserve surf boat teams are also in Queensland competing. 29 pages of events and competitors from Youth to Opens and Masters all in together! Newport U17's and Opens ski relay GOLDS! Christine Hopton, who competes with the Newport Masters Team, also made the final in the 55-59 Board race, placing 5th and winning another 2 points for the Newport Masters Team. Ted Smithies placed 5th in the 65-69 Beach Flags Finals, adding a further 2 points to Newport's tally. Kevin Flood made the Finals in the 60-64 years ski. Newport Surf Boat Teams: the Maddogs and Sharknado(U23 Women), Manta Rays (U23 Men) Makos (Open Men), Sea Cucumbers and Jollytails(Reserve Grade) have made the sojourn north. Paula Tocquer, Kris Monnock, Lisa Critoph and Sophie Stokes: Mona Vale Masters rule! 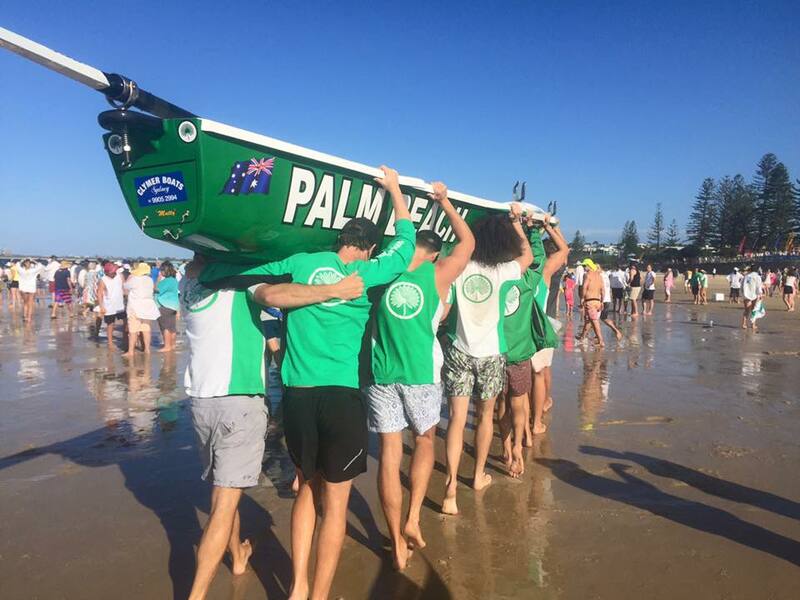 Mona Vale surf boat teams competing in 2016 Aussies: Junior Burgers, Mambas (Mixed U19's), Rude Dudes (U23 Men), Mavericks and Mchicken Fillets (Open Women crews), Rocks and Big Macs (Open Men) and Quarter Pounders (Reserve Grade). Warriewood surf boat teams: the Whips (U23 Women), Wahines(Open Women), Business Time (Reserve Grade) and Team A -200 years min Mixed Surf Boat. Photos by and courtesy of SLS SNB, Alex Tyrell, Georgia McCarthy and Kate MacDonald (PBSLSC), 2016.